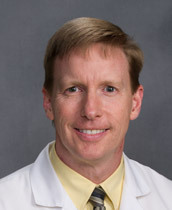 A native of Cleveland, Tennessee, Dr. Nerren is an American Board of Internal Medicine certified physician. After completing his Bachelor of Science in Biochemistry from Rhodes College in Memphis, he obtained his Doctor of Medicine at the University Of Tennessee College Of Medicine. After completing his residency at the University of Alabama, Birmingham, he joined the JCIM team in 1999.